The release of information available on any record under the jurisdiction of the Department of Motor Vehicles is governed by the Federal Driver’s Privacy Protection Act (18 USC §§2721-2725) and by the Nebraska Uniform Motor Vehicle Records Disclosure Act (§60-2901 through §60-2912). Nebraska statutes stipulate that all DMV records are protected and are not available to the general public. DMV may only release driver, vehicle and personal information from our records under the conditions specified in the statutes mentioned above. Personal information may be released without the record holder’s consent if the reason for requesting the information is one of the exempted uses allowed. Requests for personal information that qualify as an Exempted Use must be presented to this office with the appropriate application, completed in full, and proof of identification. Federal, State or local Law Enforcement Agencies. To furnish information regarding an applicant for, or holder of, a commercial driver’s license with a hazardous materials endorsement to the Transportation Security Administration of the United States Department of Homeland Security or its agent. Medical or Disability Information cannot be provided to any requestor. Nebraska statutes do not permit DMV to release name and address information for marketing purposes. Therefore, there is no need for the record holder to request that their information on DMV records be restricted from release. Use by any federal, state, or local governmental agency, including any court or law enforcement agency, in carrying out its functions, or by any private entity acting on behalf of an agency in carrying out their functions. 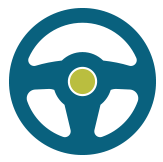 Use in connection with vehicle or driver safety and theft; vehicle emissions; vehicle product alterations, recalls or advisories; performance monitoring of vehicles, vehicle parts, and dealers; motor vehicle market research activities and survey research; and removal of nonowner records from the original owner records of motor vehicle manufacturers. Use in normal course of business by a legitimate business to verify accuracy of information submitted by an individual or business; or to obtain correct information if the above is not correct or no longer correct, for the purpose of preventing fraud, pursuing legal remedies against or recovering on a debt or security interest against the record holder. Use in connection with a civil, criminal, administrative or arbitral proceeding in any federal, state or local court, government agency, or self-regulatory body, including service of process, investigation in anticipation of litigation, and execution or enforcement of judgment; or pursuant to an order of a federal, state, or local court, an administrative agency, or a self-regulatory body. 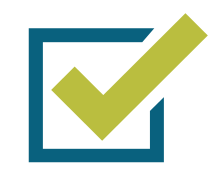 Use in research activities and statistical reports, as long as personal information is not published, redisclosed or used to contact individuals. Use by any insurer/insurance support organization or by a self-insured entity in connection with claims investigation activities, anti-fraud activities, rating or underwriting. Use in providing notice to owners of abandoned, towed or impounded vehicles. Use by a private detective, plain clothes investigator, or private investigative agency licensed under Neb.Rev.Stat. 71-3201 to 71-3213 for purposes permitted under this act. 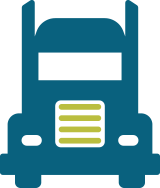 Use by an employer, employer’s agent or insurer, to obtain or verify information of a Commercial Driver’s License or Commercial Leaner's Permit holder. Any use if requestor has notarized consent of the record holder and has provided proof of such consent to the Department, as indicated on the front of this form. Use, including redisclosure through news publication, for a member of a medium of communication as defined in Neb.Rev.Stat. 20-145, in connection with news involving motor vehicle or driver safety or vehicle theft. Any use if the request for the record is made by the record holder. For use by the federally designated organ procurement organization in Nebraska to establish and maintain the Donor Registry of Nebraska. For use to fulfill the requirements of the electronic dealer services system. For any other use specifically authorized by law and related to the operation of a motor vehicle or public safety.